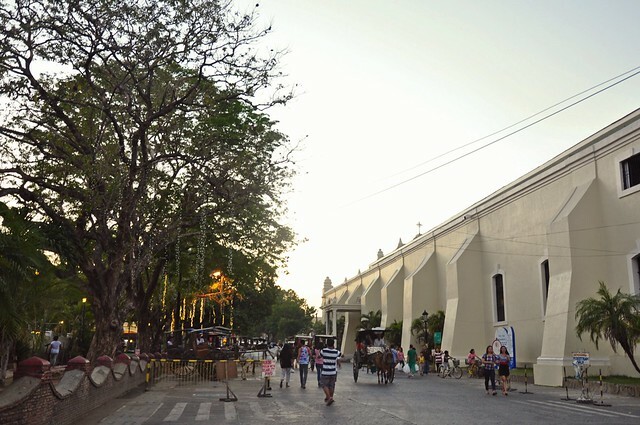 The capital city of Ilocos Sur, Vigan, acclaimed for its well-preserved architecture and cobblestone streets, is well-defined in many aspects. Relative to its multi-colored history, other than traditional bagnet and longaniza, Mexican-influenced pipian and delicacies of Hispanic origins like masa pudrida, turones de mani, canatillo and torta, is a subsisting Chinese eatery named Sanitary Restaurant that serves mainstays, such as canton Luzon (pancit), kwekeng (also known as ngoyong), maki, hongkue (stuffed boneless chicken), carne agre dulce (sweet and sour meat), kimlo, lomi and the more popular siopao, mami and siomai. 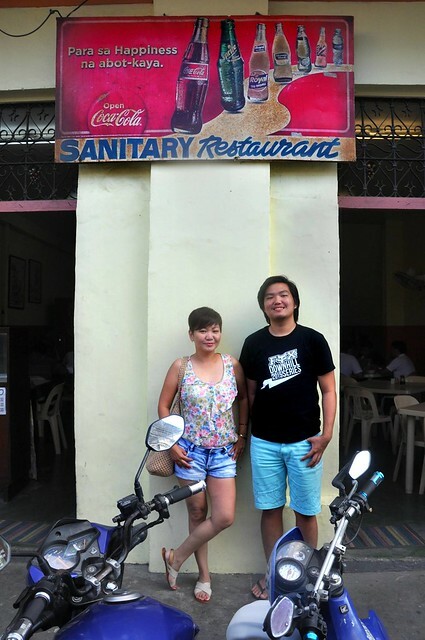 Passed down through generations, Sanitary is said to be the oldest restaurant in Vigan. Married into the family of the original owners, its current keeper, manong Vicente “Vic” Chua, does not know exactly the year it was established. All he remembers is that Sanitary was already in existence when he was little. 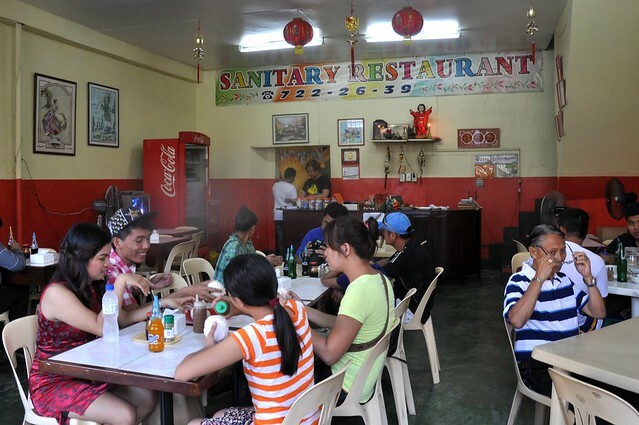 Sanitary Restaurant is not foreign to me. I’ve heard about it from, of all people, Manila-based Chinoy friends. 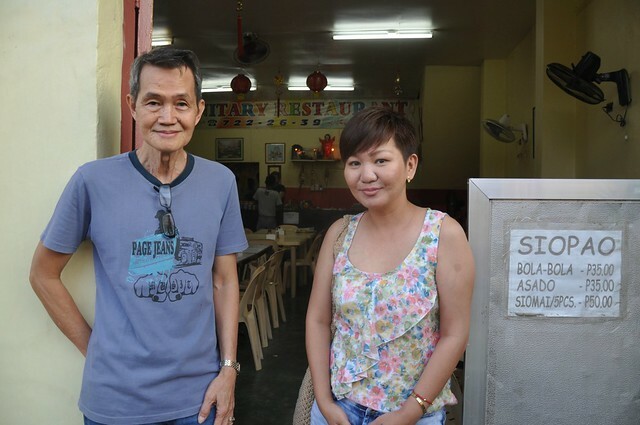 I remember Vigan resident Mr. Bonito Singson also recently mentioned about his occasional breakfasts at the old Chinese restaurant. 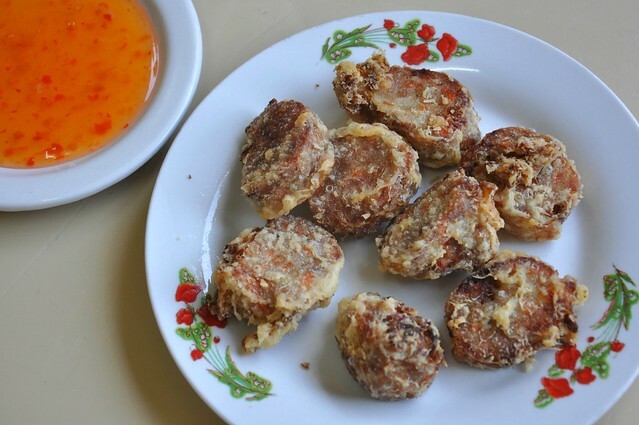 A visiting friend gave us kwekeng, fried pork rolls similar to kikiam, from her Vigan trip, but I really never had the time to go there myself until yesterday. 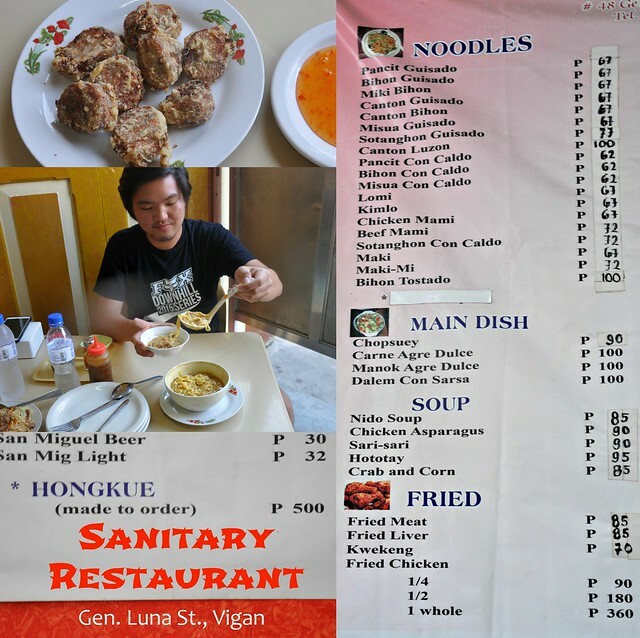 We went to Vigan only to eat kwekeng, and then we ate more. A photo with manong Vic. 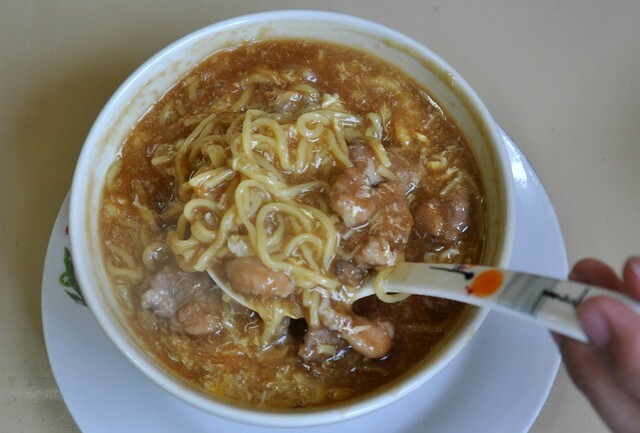 Canton Luzon (they also have a bihon Luzon) is very similat to Laoag’s La Moda pancit, but instead of lechon de carajay bits, it is topped with meatballs and pork; the flat noodles are also narrower. 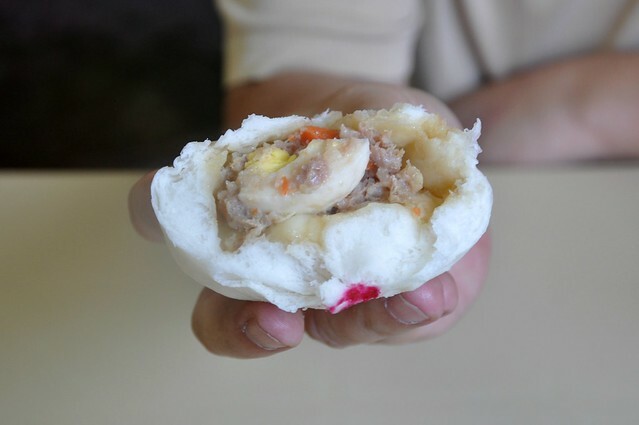 I liked the bun of the siopao — dense and very old-fashioned. 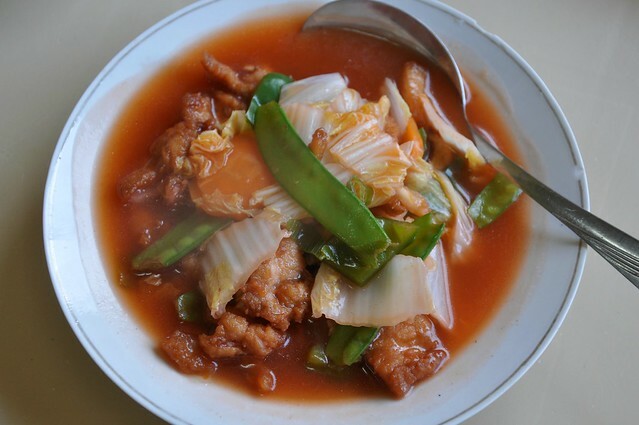 The carne agre dulce (there’s also chicken and liver) is presented differently, wherein snow peas and Chinese cabbage take the place of the more common carrots, pineapples or cucumber. Compared to most makis in Binondo, theirs was runny. Likewise in the menu, hongkue, a kind of rice-stuffed chicken steamed for a long amount of time, should be ordered one day in advance. That was what my husband really wanted to try because his dad, who passed away last year, made the best hongkue. My top picks from all that we ordered were siomai and kwekeng with the accompanying sauce. 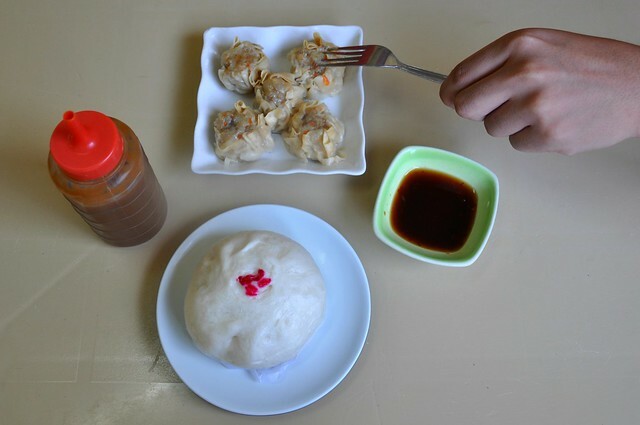 Locals go there to eat pancit and siopao, but kwekeng, according to manong Vic, is bought in bulk as pasalubong or sent to Bigueños living in Manila. 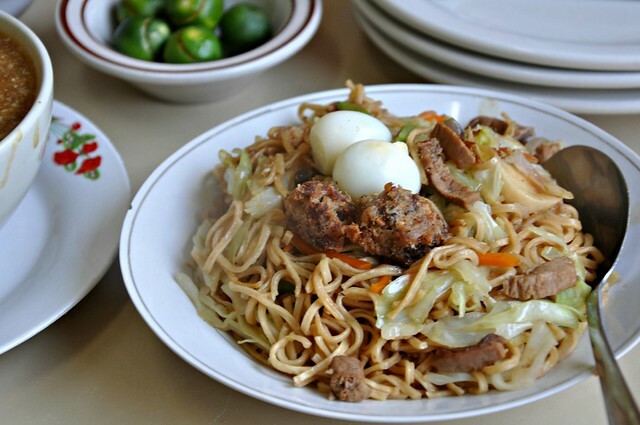 Ilocanos who grew up wishing pancit instead of spaghetti, will always feel the nostalgia of good old Chinese food.